A sweet set of 2 hot pink & aqua blue fairy flower hair clips, your little girl will love these. Featuring a gold metallic button centre for an extra special touch. 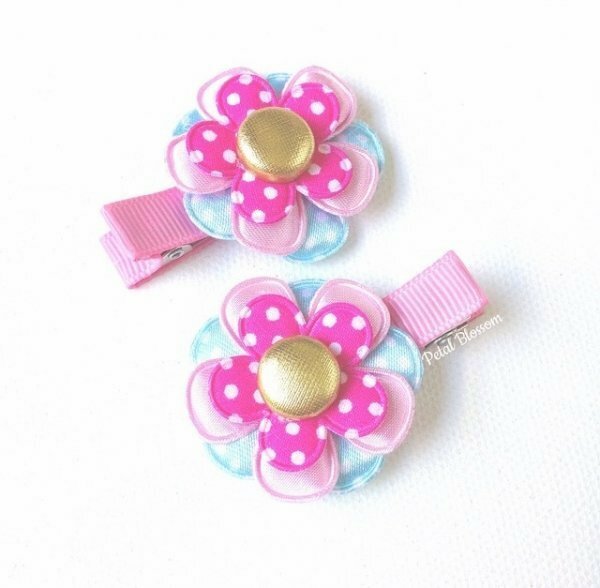 Lovingly handmade here in Austarlia, this set of 2 hair clips are attached to a non slip clip. *Please supervise young babies while wearing headbands & hair clips as they may pose a choking hazard. Many other hair clips to choose from. These hair clips are great birthday gifts for any little girl.